This morning I took my first “Artist’s Date” in a long time. I didn’t really plan to do it… kind of fell into it. Our local zoo, which is not far from our house, recently received a herd of 5 African Elephants from the San Diego Zoo’s Safari Park. There’s one large male, Mabu, two females, Samba and Lungile and the sons of Samba — Punga and Sundzu. 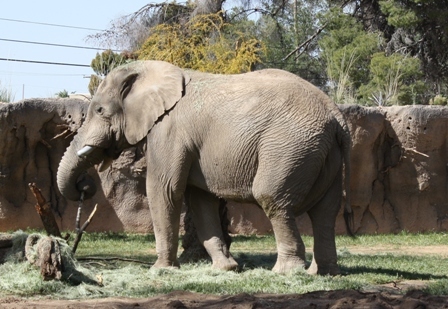 The zoo has transformed what was once a picnic area and soccer field into a large elephant habitat with a mud wallow, termite hills, swimming pool and wading stream. We’ve been watching the construction now for a couple of years as our daily walking path goes right by it. Finally, now, it’s finished. The grand opening is to be tomorrow, but starting last Sunday, they have been holding a members-only preview. This morning I had a doctor’s appointment near the zoo, so decided that afterward I would go to Starbucks (also on the way to and from home) for a mocha and a scone and then head over to the zoo with my new camera. It was awesome. 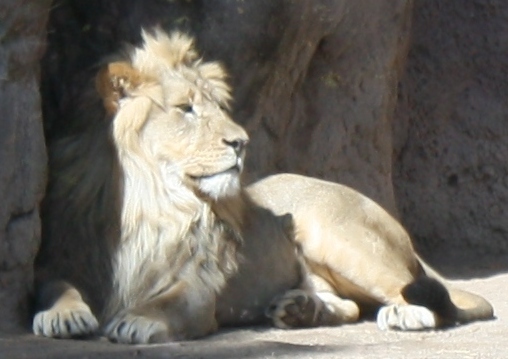 The lion was out, and in the perfect position and lighting (see above). 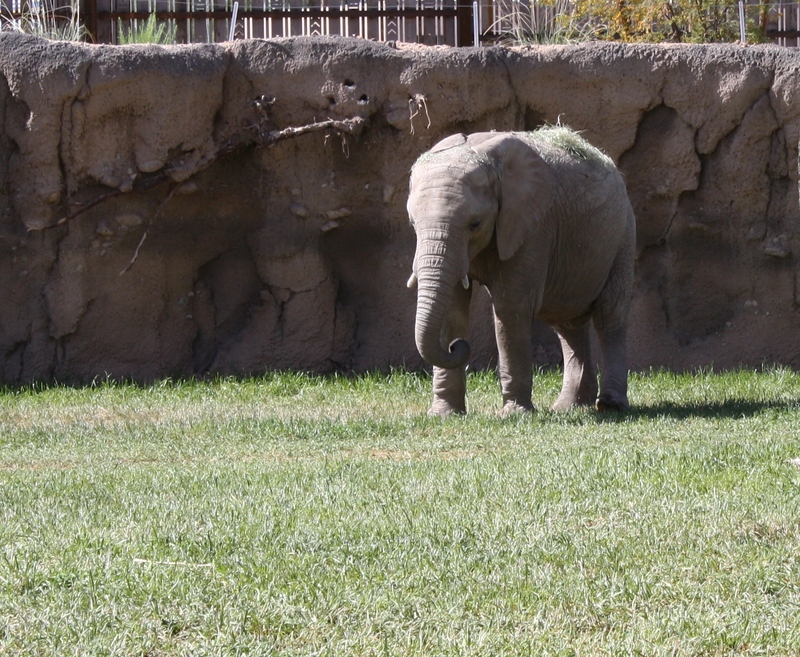 And the new Expedition Tanzania enclosure is wonderful and all the elephants were out. Here’s Samba and Sundzu, the latter having breakfast. Altogether I took 95 picture, just haven’t had time to go through and pick out the ones to keep and do the necessary editing and resizing. But what a fun morning, it’s been! This entry was posted in Nature, Photos, The Artist's Way and tagged animal photos, artist's date, Elephants, Expedition Tanzania, lion, Reid Park Zoo, The Artists Way on March 27, 2012 by Karen Hancock.